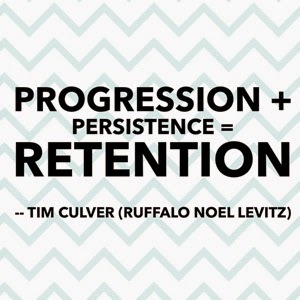 The "P+P=R is the basic formula for student retention" is a great article by Ruffalo Noel-Levitz focused on one of my favorite subjects retention. I will admit progression and persistence are two of the most difficult items to address because I believe it is all about student GRIT. The article provides examples from other campuses that implemented several efforts to impact student retention based on progression and persistence.